When you hear the term "life purpose," you probably envision people who are following a higher calling, like priests, nuns, missionaries, doctors and scientists. In other words, people who are doing important work in the world. People like this are certainly living a purpose, but you may be surprised to learn that a life purpose doesn't have to be so magnanimous either. 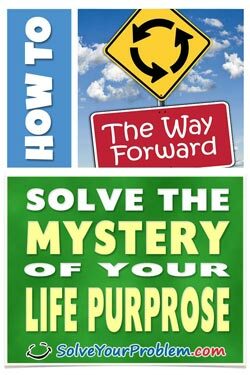 A "life purpose" is really nothing more than a commitment or resolve to live in a certain way and achieve specific goals you really want. Realizing and living your life purpose is actually a very stimulating and incredibly enjoyable process. from aimlessness to unbridled joy and beyond! Download my very insightful and easy to follow guide today! Do I Really Need A Life Purpose?